This entry was posted in OOTD and tagged Accessories, beauty, Clothing, color, colours, crop, Design, Fashion, fashionista, Forever 21, Hiaddie, instagram, Platform shoe, Shopping, side slit, skirt, slit skirt, stiletto heel, stud chain, Style, thrift, top. Bookmark the permalink. ← The Blacker the Berry …. Thank the shirt was my lucky thrift store find but I did some research I don’t like to leave my divas hanging. 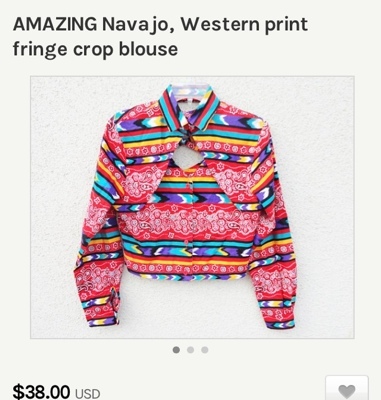 The designer name is Wanda and I found a lot of similar items on Etsy.com is you do a search for: Western Crop Top. U r beautiful!! I love d way u rock dem skirts!! R u nigerian?? Oh wow Thank You! I’m going to make a post Thank You!